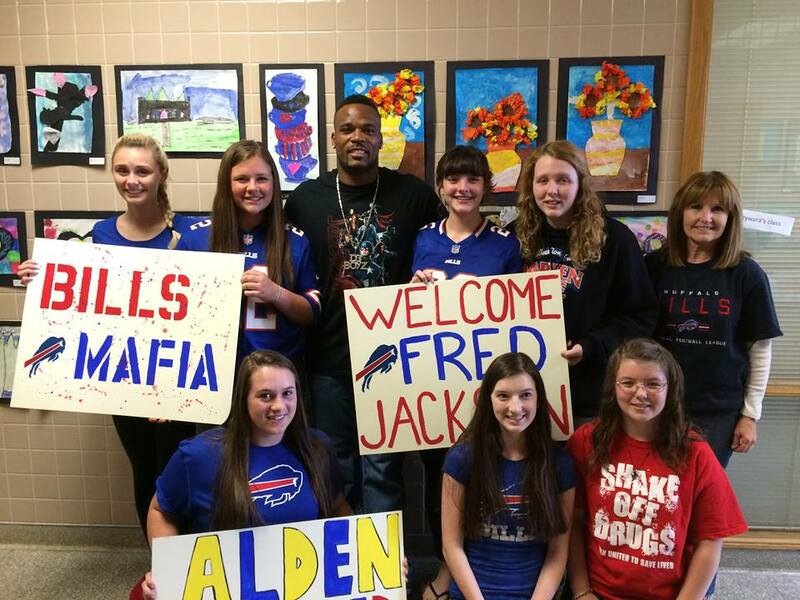 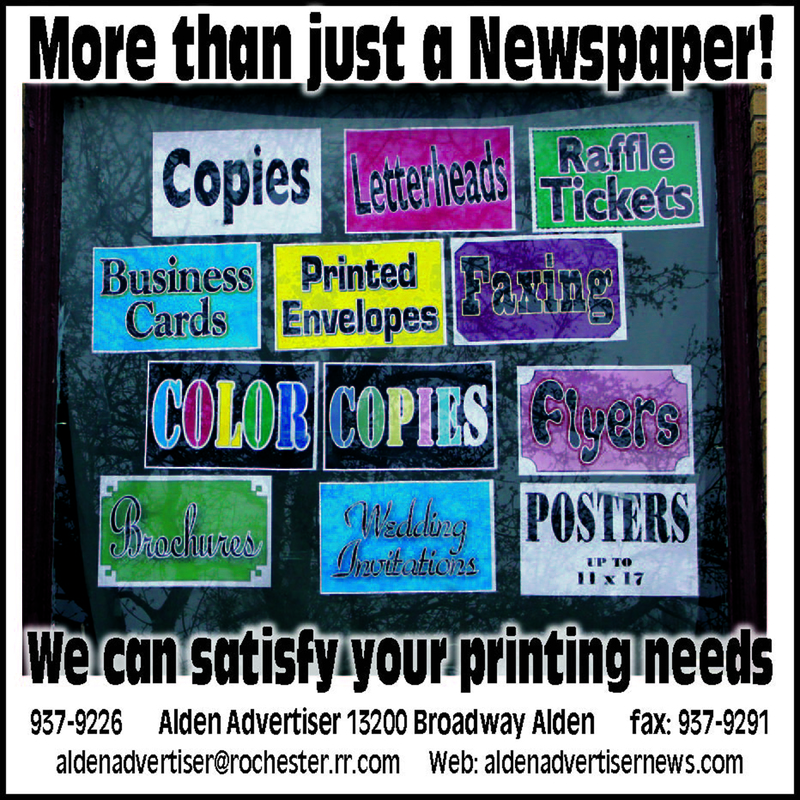 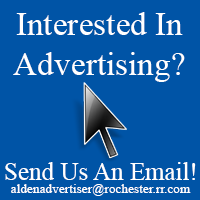 Alden High School hosted Buffalo Bills running back, Fred Jackson, for an afternoon assembly. 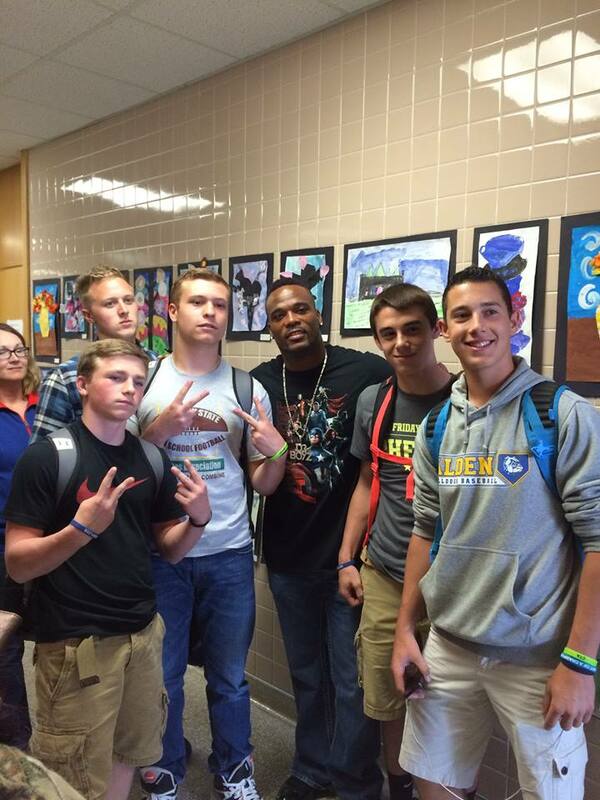 This visit was the result of the success of AHS’s Shake off Drugs video in the Kids Escaping Drugs contest. Fred shared his ideas on the key ingredients in leadership: respect, communication, and being proactive. 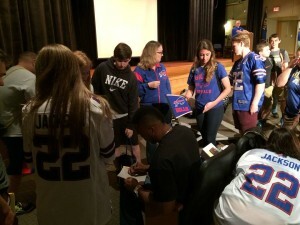 He stuck around for photos and autographs.